Live streaming gives your audience the ability to view your event as it is happening. Unfortunately, most events have times where there is no content for the viewers. By inserting pre-produced video into areas of dead air in your stream, you help to maintain audience interest, participation, and retention. 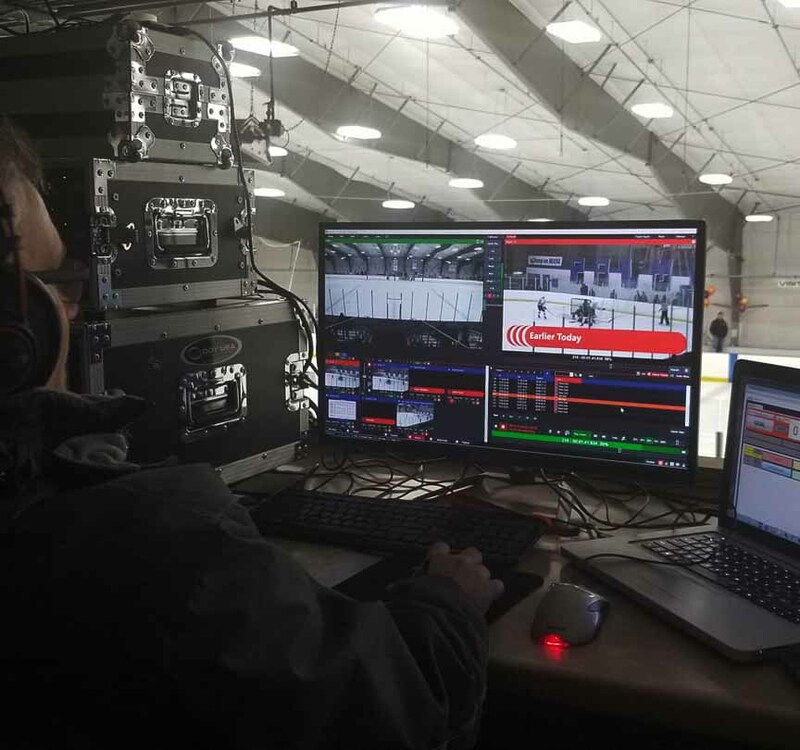 Powder Ridge Productions develops video content unique to your stream. We can do background video such as interviews of subjects of the broadcast, information on your organization, or even advertising video for your sponsors. Videos are produced with the style of your stream in mind. The supporting videos will match the styling, colors, pace and flow of the planned stream so it does not feel out oif place. We work with your organization to highlight individuals in your organization that you would like to give special exposure to. We can do the interview in the controlled envirnment of our Lazy Mountain studios, at another location of your choosing, or even the venue itself. Interviews are appropriately lit and miced for sound. You are most likely interested in getting more information out about your organization. Whether you are looking for new members, new customers, or just letting the viewers know about upcoming events, your live stream is a perfect place to do this. We will work with you to develop a video that gets out the information you want to convey while maintaining audience interest in the programming. Every organization needs funding to exist. If some or all of your funding comes from outside sources, we can develop videos specific to your sponsors. If you are a non-profit, or otherwise rely on donations, we can make an appeal to your audience for donations. If you have corporate sponsors, we can insert their pre-produced ads into the programing, or if they do not have one, we can development it. We can work with your sponsor to develop ads they might continue to use in other programming, or we make a simple informative video that is used only in your stream.